In 2016, 38 bills were enacted in parliament. During that year, on average, the time spent on legislative debate (without interruptions) was 23 percent in the Lok Sabha and 16 percent in the Rajya Sabha (calculated from the PRS Legislative Research data). Time is, however, just one measure of the quality of legislative debate. Analysing the content of the debates would provide a glimpse of the nature of issues raised by parliamentarians and whether they adequately capture the gamut of issues that may be related to the legislation. Not many studies exist on legislative debates the world over, although the pace has picked up during the last two decades. Majority of the work focused on analysing positions of legislators or why legislators participated in debates. Attempts to measure discourse quality were scarce. In 2003, scholars from the University of North Carolina, Marco R Steenbergen et al, developed a ‘Discourse Quality Index’ to measure the quality of deliberations. They proposed that speeches be assessed under the following heads: (a) level of participation in debate; (b) level of justification; (c) content of justification; (d) level of respect towards the beneficiary group; and (e) level of constructive politics. In the Indian context, there is a perception that the quality of parliamentary debates has deteriorated, especially compared to the early 1950s, when stalwarts such as Nehru, Mavalankar and AK Gopalan were Lok Saha members. But there is no empirical analysis on the subject. Therefore, analysing the content of speeches through a Quality of Legislative Debates Index could elicit information on the nature of discourse on a legislation, the level of preparedness on the subject and the impact on the final outcome, that is, a legislation. The quality of the debate can seriously affect the efficacy of these laws themselves. At his first Bhairon Singh Shekhawat lecture recently, president Pranab Mukherjee stressed the need to improve the quality of India’s parliamentary debates. Here’s an example. While discussing the recently enacted Maternity Benefits (Amendment) Bill, 2016, almost all MPs wanted to include the unorganised sector but none suggested how this could be achieved. Hardly any MP touched upon its financial implication on the private sector, particularly SMEs or on solutions attempted elsewhere. 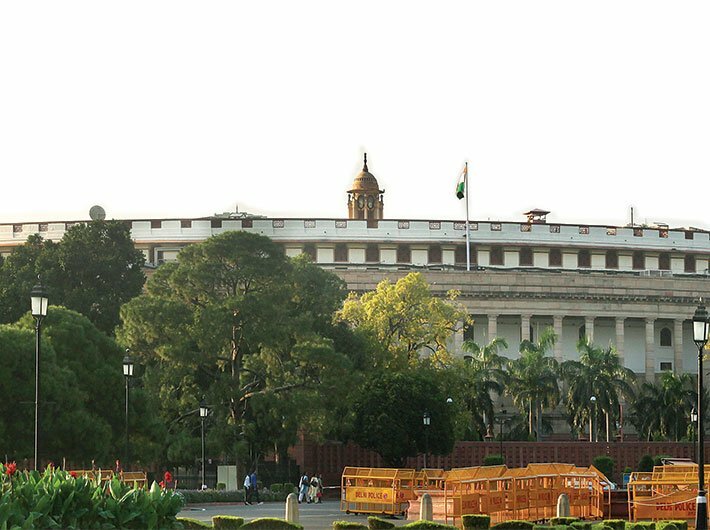 Blame it on the anti-defection law of 1985 or to the general decline in parliament as an institution, parliamentary debates are no longer what they used to be. While checking indiscriminate defections, the anti-defection law has reduced MPs to a mere headcount following party lines. One way to encourage MPs to improve their quality of debate is to objectively measure and report the quality of debates, bringing public focus on this issue and incentivising better inputs from MPs. Developing an objective metric for assessing the quality of debates would force our parliamentarians to pay attention to their key role as lawmakers and be more informed on the subject. It is to be hoped that this would, in turn, stem the tide and restore parliament to its former glory. I have developed an outline, a framework for an index to measure the quality of legislative debates for the purpose. An index essentially combines quantitative and qualitative indicators into a composite statistic. Carefully crafted indices are increasingly used worldwide to define and measure traditionally qualitative concepts in economics and public policy objectively and consistently. Ranking countries on such indices has become popular since the 1990s and is known to drive policy change in many developing countries. The proposed Quality-of-Legislative-Debates Index needs to weigh the legislators’ knowledge of the subject; the depth of their scrutiny of bills; and their inclination for evidence-based research. Clearly, there is no single, objective way to judge the quality of legislative debates with metrics depending, inter alia, on political or ideological priorities or perception of the role of an MP. Provides a snapshot of the time taken for a bill to become an Act. Variations indicate government preferences, timelags between amendments and extent of scrutiny (reference to standing committee). Documents the activities of MPs in parliament regarding the bill. The extent of their participation indicates their level of interest. The statement of objects and reason (SOR) provides the background information and purpose of the bill. Certain issues seem endemic to many laws such as implementation gaps, state capacity, and constitutional issues. Whether MPs highlight these crucial but basic issues is a measure of their scrutiny. Each bill has its own strengths and weaknesses, which may be identified by experts and activists. Whether MPs are able to identify these specific problems is a measure of their scrutiny. Sanyal is CEO and co-founder, Sunay Policy Advisory Pvt Ltd, a policy research startup.